I was given this product free by Purex to give my full and honest thoughts on. Having laundry that smells good is important. Wanting to actually do your laundry is also important. We all need and want clean happy smelling laundry. Which is why Purex is working to give us all that and more in their ever changing line of products. This one is called Purex Crystals Aromatherapy. I reviewed their new line of Crystals back in April and loved them. Followed shortly after their new line of dryer sheets with the lovely Crystal smell in May. These have even topped them. The smell is stronger, but not overpowering at all. They have 3 different types to chose from: Energy, Well Being (which is what I received) and Serenity. 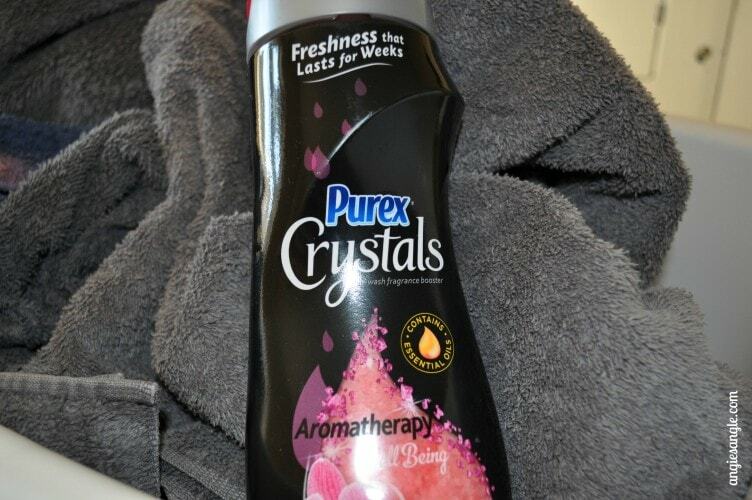 With the Purex Crystals Aromatherapy you can be taken away while filling your washer and the next time you put on something washed with the in-wash scent booster, you’ll be reminded of the bliss of the scent. Well Being is a soft scent, it shows a flower on the front, but I wouldn’t say its really flowery. I am not sure how I’d pinpoint the scent itself, but its calming and completely refreshing. It makes you HAPPY! 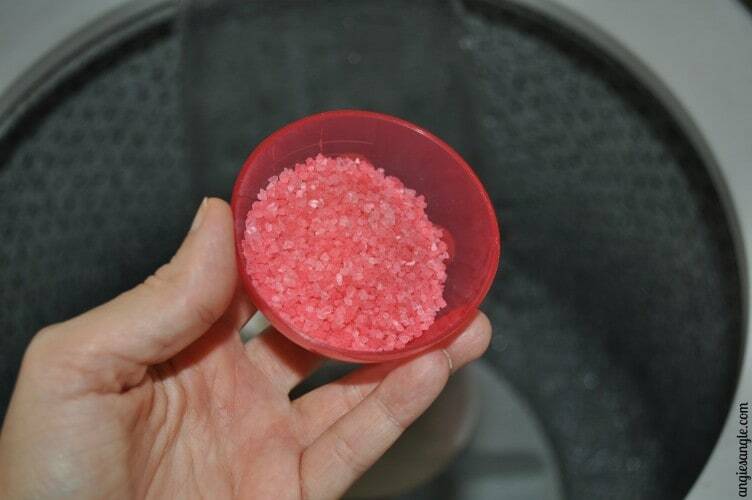 All you have to do with these laundry enhancers is just measure in the cup how much you need for the load and throw into your wash before the spin cycle. That is it! Get amazing fresh laundry scent with ease and no troubles on your part. 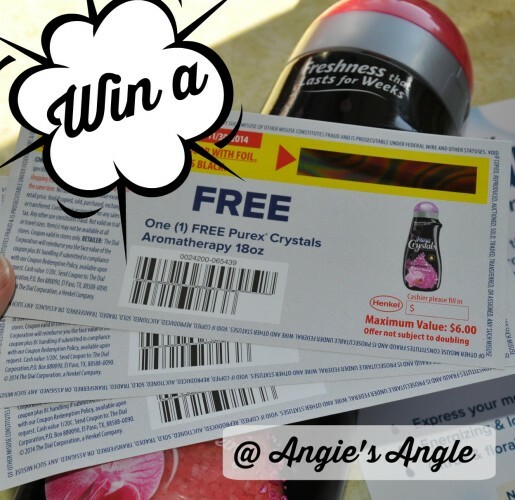 Do you now want a coupon for your very own bottle of Purex Crystals Aromatherapy? You are in luck!! 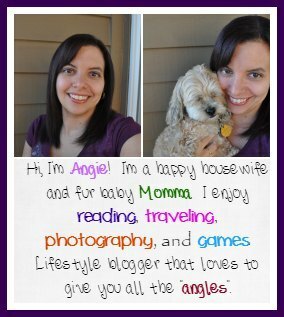 I have 3 coupons to do as a giveaway just for you all. USA only and winner(s) will have 48 hours from the time I email as one of the winners to get back to me or I will be forced to pick a new winner. Enter below via the Giveaway Tools for your chance – GOOD LUCK!